An American composer of my acquaintance is great fan of preparing, or as he prefers to say, ‘fortifying’ the piano. He once remarked to me that he was surprised that composers had taken such a long time to appreciate many ways in which the instrument’s palette can be extended by plucking and stroking the strings, and with a little help from rubber erasers, drawing pins, plectra, fishing line and the like. It’s not always easy to arrange, though: the sight of a pianist exploring the entrails of the piano can, let’s face it, be comic; owners of the expensive hardware produced by Steinway and the like recoil at the idea of foreign objects, let alone corrosively-sweaty human fingers, touching the strings of their instruments, so performance opportunities can be limited. As Henry Cowell showed as early as the 1920s, however, sounding the strings directly creates beautiful effects, even if his music remained something of an experimental curiosity; John Cage then demonstrated how modifying the nature of the strings timbre could turn the piano into, effectively, a whole new ensemble. 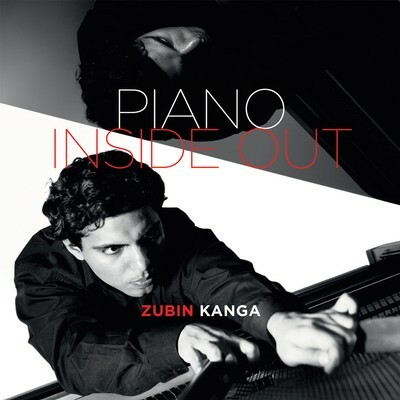 Music for prepared/fortified/enhanced piano could have no better advocate than Zubin Kanga, as his new CD Piano Inside Out unequivocally demonstrates. And, as in a good old fashioned recital, the repertoire that Kanga presents is widely varied on style and manner, demonstrating both the breadth of technique and expression made possible by the various enhancements, and Kanga’s generous musical spirit. Inevitably, too, it reflects the healthy plurality of voices among our composers, ranging between the poles of modal simplicity and late modernist complexity, minimalism and maximalism, ‘high’ art and popularly-inflected forms. To Kanga’s credit, each work is given the same degree of respect and evident care. 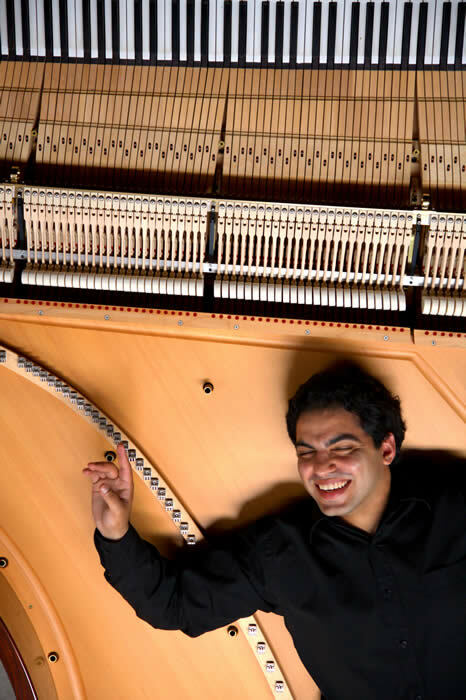 In his beautifully written liner-notes, Kanga describes Elliott Gyger’s …out of obscurity as one of the ‘most complex, virtuosic and expressively beautiful works featuring extended piano techniques’ that he has come across. One can’t argue with that, with its glittering figurations, emphatic gestures and percussive ostinatos, febrile textures punctuated by insistent low sounds and largely serene final section. Gyger’s is a hard act to follow but Nicholas Vines does so more than creditably in his Uncanny Valley where the gradations of difference between robot and human, simulacrum and real object, are depicted in a substantial work of theme and variations. Vines’s music has a playful quality not in huge supply in new music – especially that of the real or imagined avant-garde – which is by no means to deny that his is a work of great amplitude. Where Gyger integrates the sounds produced by extended techniques into a highly wrought texture, Vines is inclined to play off traditional piano sounds against those of extended techniques to great dramatic effect. The self-consciously Lisztian gesture of the opening is offset by percussive thwacking, and, later, diaphanous textures as the music’s processes work themselves out. In his Entre bajos y alturas Daniel Rojas similarly exploits the strong contrasts between traditional and extended techniques. After a mysterious opening of quiet portentousness and disembodied melody it unfolds as a striking work of strong rhythmic profile that welcomes elements from western and Latin American musical traditions. 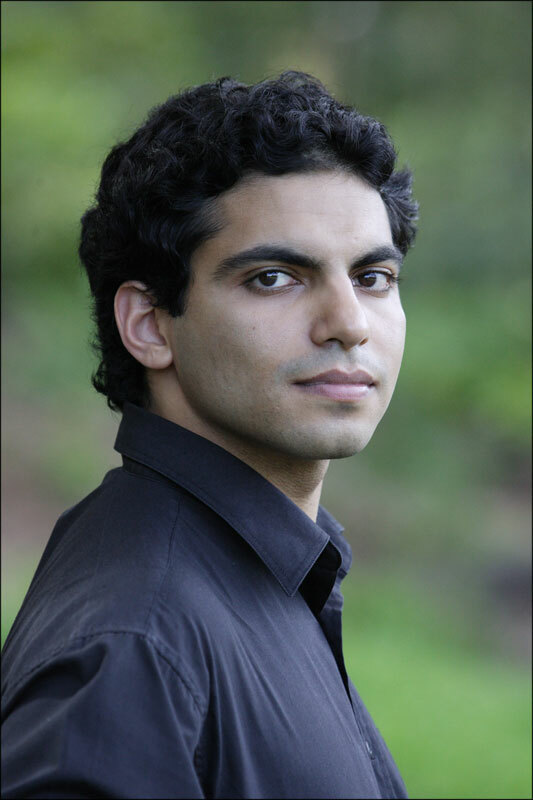 Kanga notes that Rojas is one of the composers with whom he most frequently collaborates, though in this instance it is in David Young’s Not Music Yet that he is called upon to make a most extensive contribution, as the work grows out of a graphic score interpreted, with great poetic finesse and sonic imagination, by the pianist. Marcus Whale’s Errata is a study in the creation of powerful effects of resonance, through the rapid repetition of single notes or chords, that appears and disappears in waves in a simple, yearning harmony of mild dissonance. Rosalind Page opts, too, for an essentially simple harmonic language in her Being and Time II: Tabula rasa, inspired by the work of Imants Tillers. Like Rojas her work begins with quiet undifferentiated sound, a canvas on which she then elaborates, like Gyger, a kind of modal, neo-Baroque polyphony that is interrupted by terse and colourful gestures that lead into a sound-world reminiscent of Sculthorpe’s Snow, Moon and Flowers. Anthony Moles, like Marcus Whale, might be said to gravitate towards the minimalist end of the spectrum in his Diabolic Machines. As Kanga remarks, it is probably the most traditionally virtuosic work in the collection, generating huge momentum through its layering of ostinatos, but containing moments of lapidary stillness at its centre. As I have noted, Kanga’s prodigious musicianship and the breadth of styles represented here are both cause for celebration. Not every piece will appeal equally to all tastes, of course, but each is more than worthy of attention. And yet again, even without the resources enjoyed by some record companies, MOVE Records has produced a disc whose sound quality is beautiful and clear, the packaging attractive. It is a testament to the commitment of all concerned to exploring the new and encouraging innovation.